Danger on the road rose last year in Maricopa, according to a state report published Tuesday. The 2017 Crash Facts for the State of Arizona, an annual summary prepared by the Arizona Department of Transportation, showed vehicle accidents increased nearly 5 percent within city limits from the year before. There were 298 automobile accidents reported in Maricopa in 2017 – earning the city a third-place rank in Pinal County for the highest number of crashes behind Casa Grande (761) and Apache Junction (456). Maricopa placed second in the county in the number of alcohol-related crashes last year. The city experienced 25 accidents that involved alcohol, up from 11 crashes in 2016. Casa Grande again led the category with 26 crashes; Apache Junction followed Maricopa with 21. In 2017, people injured from alcohol related crashes rose by one (from 9 people the year before to 10). There were zero crash fatalities attributed to alcohol last year. One death was caused by an alcohol-related crash in 2016. Maricopa placed third in the number of injury accidents (87), number of property damage only crashes (210), and the number of persons injured in accidents (117). Casa Grande and Apache Junction preceded Maricopa respectively in rank in each of those categories in 2017. A positive statistic reported in the data showed auto fatalities lowered from the year before. The number of people killed in Maricopa auto accidents reportedly decreased from three deaths in 2016 to one fatality last year, according to the report. 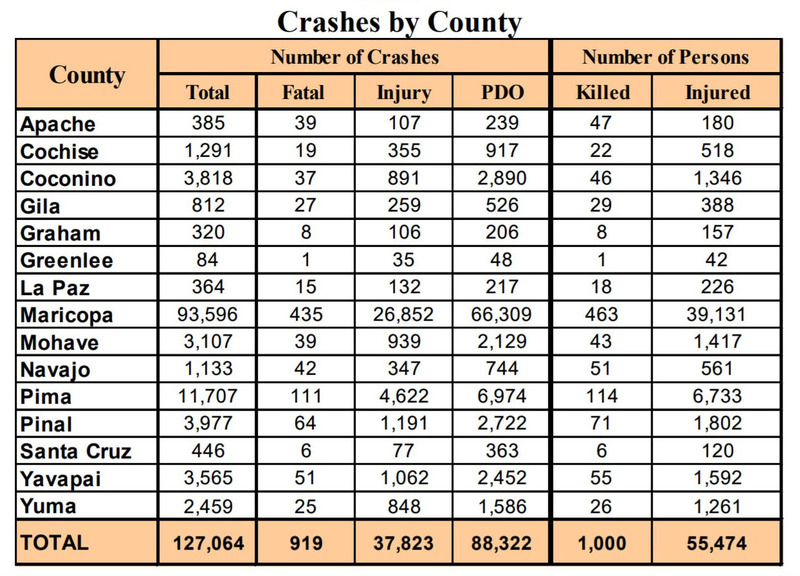 The statewide report used data compiled from Arizona Traffic Crash Reports that are submitted to ADOT by state, county, city, tribal and other law enforcement agencies, according to the report. Unincorporated area statistics are not broken down in the summary. View the report here. 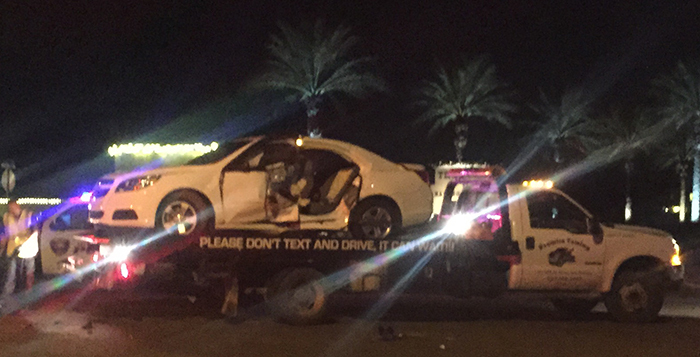 Pinal County experienced nearly 4,000 traffic accidents last year – No. 3 in the state behind Maricopa County (93,596) and Pima County (11,707). In 2017, 1,000 people were killed on roadways statewide.